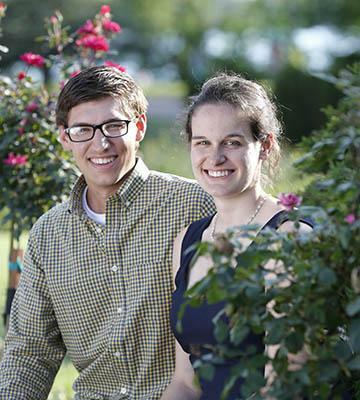 Cierra Bartol-Byers and Eric Anderson, both of Hutchinson, announce their engagement. Parents of the bride are Carol Bartol of Prairie Du Chien, Wisconsin, and the late Douglas Byers. The groom’s parents are Ellen and Roy Anderson of Fergus Falls. Cierra Bartol-Byers is a 2011 graduate of Baraboo High School in Baraboo, Wisconsin, a 2015 graduate of the University of Wisconsin – Stevens Point, and is currently employed as a fourth-grade teacher in the Glencoe-Silver Lake School District. Eric Anderson is a 2010 graduate of Fergus Falls High School, a 2015 graduate of the University of Wisconsin – Stevens Point, and is employed as a junior high English teacher at Glencoe-Silver Lake Schools. A May 11, 2019, wedding is planned in Cross Lake.